Delhi, Jaipur, Fatehpur Sikri, AgraIndia must have seen more royalties, more dynasties and more grandeur than all the countries put together. So it is no wonder that relics steeped way back in centuries are still standing erect and proud, full of sagas from bygone years. The royal cities of Delhi, Agra and Jaipur complete the family of Golden Triangle Tour – an extravagance of architectural elegance and poise. The voyage showcases the magnificence of the three heritage cities and takes one not only through the heart of the country, Delhi but also to see the hues of the Rajputs in Jaipur to the poetry transformed into architecture in the form of the Taj Mahal in the banks of the river in Yamuna in the city of Agra. 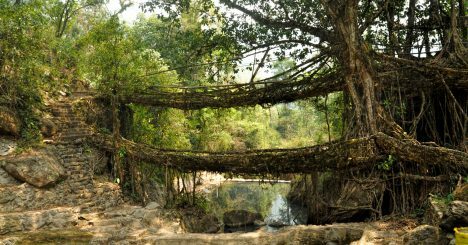 This tour opens the door of not only a rich regal culture drenched in a glorious history of the country but it is an affair to please all the senses. Day 06: Visit The Taj Mahal and Agra Fort. On arrival in Delhi, you will be met and assisted by our representative. After you check in to your hotel, you will be given a small brief about your itinerary and India. Rest of the day at leisure. After breakfast, take a private city tour of Old Delhi – Old Delhi came into prominence when Shah Jahan moved his capital from Agra to Delhi. Visit 300-year-old Chandni Chowk Bazaar and Khari Baoli spice market. A maze of lanes crowded with shops selling an extraordinary variety of items and food, the noise and crowds are a quintessential part of any Indian market. Continue to the Jama Masjid, India’s largest mosque designed by Shah Jahan, and was his last architectural legacy. When you reach the mosque, explore the interior with your guide. View an antique copy of the Quran and other historical relics. In complete contrast to the noise and crowds of Old Delhi, is Raj Ghat, a simple and stunning memorial to Mahatma Gandhi, the main architect of India’s independence. You pass through the Red Fort that dominates this area landmark. Afternoon, take the tour of New Delhi – New Delhi was designed and built by the British in the 1920’s and is characterized by Sir Edwin Lutyens’ monumental architecture. Driving through the city, with its wide tree lined avenues, discover India Gate and the Diplomatic Enclave, the Central Secretariat and the President’s House. 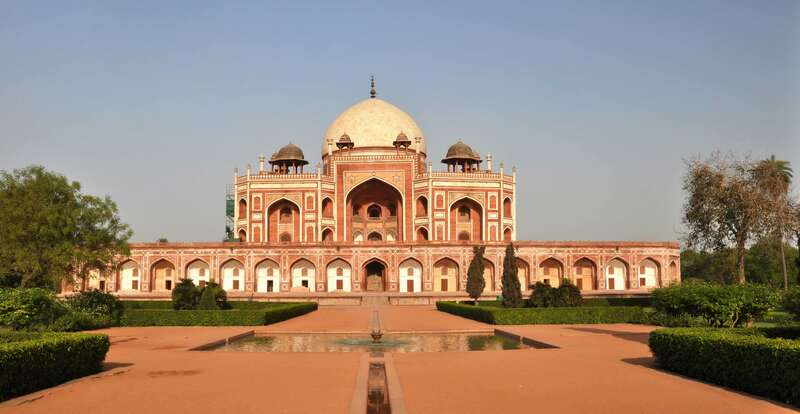 Visit Humayun’s Tomb, aptly called the predecessor of the Taj Mahal because of its ornate Mughal style of architecture, later perfected in the Taj Mahal. This is the earliest example of Mughal architecture in India. Finally, visit the 12th century QutabMinar, considered one of the most perfect towers in the world, measuring 72m high. 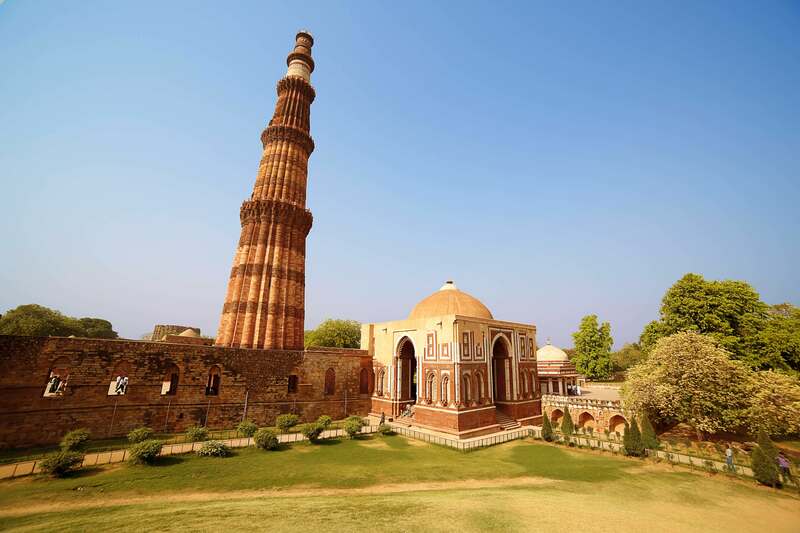 This structure was eventually the prototype of all minars or towers in India. Check out from the hotel after breakfast and drive to the pink city, Jaipur, en route visit Samode. Nestled among Aravali ranges, about 42Kms northwest of Jaipur, Samode Palace comes into view like a mirage rising above cobbled streets and stone houses of the Samode Village. Take a stroll in the village, visiting the extravagant florid hand painted Durbar Hall and the overlooking gallery which forms the breathtaking Sheesh Mahal or the hall of mirrors built in the middle 19th century is worth visiting. Samode Palace today is one of the finest palace hotels in Rajasthan. Continue with your drive to Jaipur. Arrive Jaipur and check into your hotel. Enjoy the rest of the day at leisure. Begin your day in Jaipur with a guided exploration of Amber Fort after breakfast. Enjoy the unique experience of riding atop an elephant outfitted with traditional Indian draperies, as you climb up to Amber Fort. 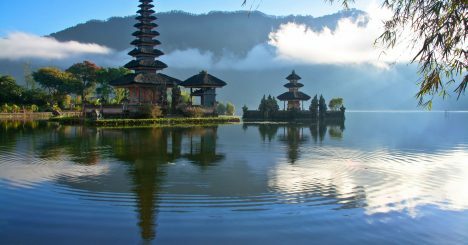 When you reach the 16th century hilltop palace, explore on foot and admire breathtaking views of Maota Lake. Learn about the palace’s ornate design and Rajput architectural elements from your guide as you tour the fortress. Amber is a classic, romantic Rajasthani Fort Palace. Originally the ancient capital of the Kachawahas clan since 1037 the ancient town of Amber, 12km from Jaipur, is dotted with ancient temples, Havelis, and step wells. High above the town and surrounded with defensive fortification walls sits the impressive Amber Palace. Built by Raja Man Singh in the early 17th century, it houses mighty gates, temples, huge ornate halls, palaces, pavilions and gardens. Amber Palace is a perfect blend of Hindu and Muslim architecture and once at the top the Palace affords excellent views of the surrounding countryside and town below. The rugged, time-ravaged walls of the Fort may not look beautiful from the outside, but the interior is a virtual paradise. Miniatures painted on the walls depict hunting and war scenes, apart from festivals. Precious stones and mirrors are embedded into the plaster. Inside the Fort visit the Jag Mandir or the Hall of Victory. The journey on caparisoned elephants is bound to enrich your memories with the Royal lifestyle of the Maharajas and leave you with a truly unforgettable experience. In the afternoon, tour the city of Jaipur. 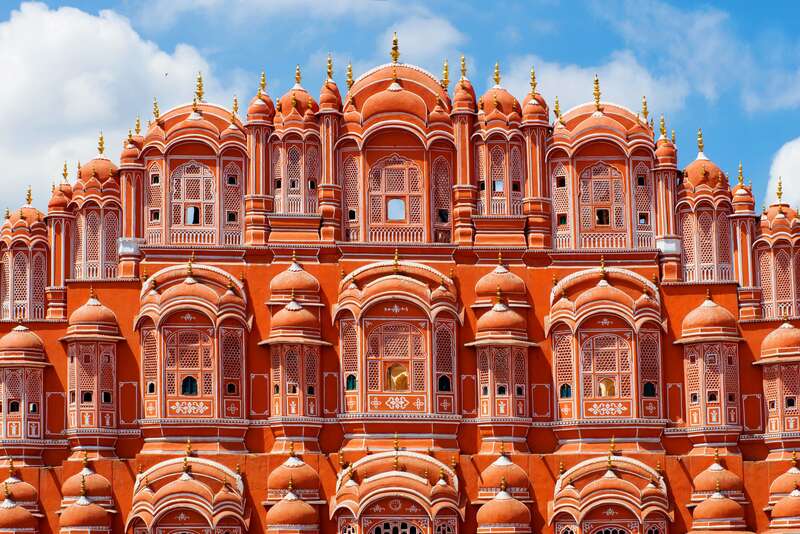 Popularly known as the Pink City, Jaipur (City of Victory) is the state capital and largest city of Rajasthan. The city of royals is surrounded by palaces, temples, monuments, forts and gardens. Jal Mahal (Water Palace), Laxmi Narayan Temple, Amber Fort, City Palace Museum, Hawa Mahal (Palace of Winds) is a few of the beautiful and historical sites. The City Palace in the center of Jaipur, tour the Palace by passing through the main entrance and begin by visiting the Mubarak Mahal, built in 1890 it houses the Textile and Costume Museum. Visit the Armory then proceed through the Rajendra Pol gate into the main complex. Here the Diwan-I-Khas is home to 2 giant silver urns used by SawaiMadho Singh to carry Ganges water to England when he attended Queen Victoria’s Diamond Jubilee. 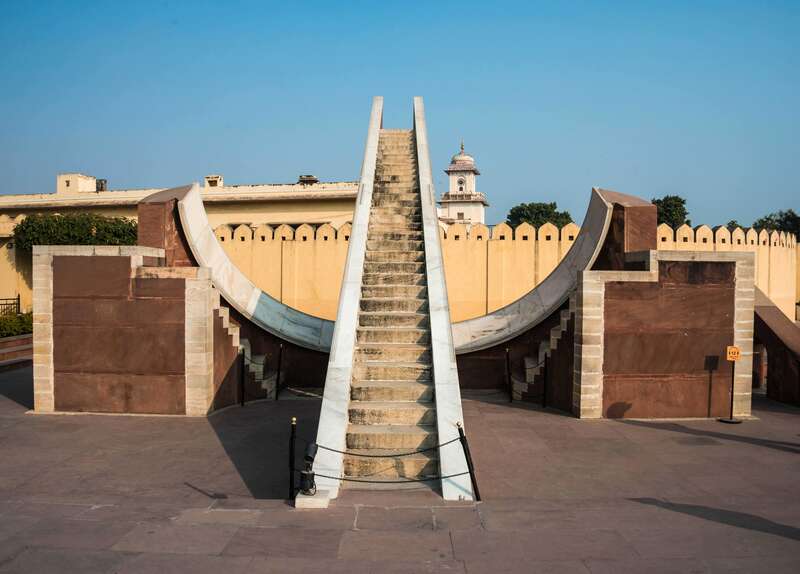 After visiting the Chandra Mahal and the museums proceed to the JantarMantar Observatory. Built between 1728 and 1734 on a grand scale, the 17 astronomical instruments were built in stone and marble. The collection, built by Jai Singh includes the large Samrat, at 27.4m high sundial accurate to 2 seconds! The Central Museum, known as the Albert Hall is well worth a visit; founded in 1876, it houses a large collection of antiques and interesting artifacts. Finally, drive past the Hawa Mahal. This unique building also known as the “Palace of the Winds” is a Jaipur landmark and was once used by the ladies of the court to watch the daily goings-on in the street below. FatehpurSikri –37km southwest of Agra, this remarkable UNESCO World Heritage Site served as the Mughal capital from 1571. Due to an ever-increasing population and erratic water supply, the red sandstone city was abandoned in 1585. FatehpurSikri, the town of victory, was the Mughal’s first planned city to feature designs that amalgamated Hindu, Persian and Islamic design. Today, the complex of buildings, including the Diwan-I-Am and the Diwan-I-Khas, the Panch Mahal and Jodha Bai’s Palace are perfectly preserved. Inside the Jama Masjid Mosque, completed in 1571 is the stunningly carved white marble tomb of Sheikh Salim Chishti. Continue drive to Agra, Check in at the hotel upon arrival. At sunrise, take Tonga (Horse Carriage) to visit the world famous Taj Mahal – Built by Emperor Shah Jahan in memory of his wife Mumtaz Mahal who died giving birth to their fourteenth child in 1631. This architectural marvel is a perfectly proportioned masterpiece fashioned from white marble that stands testimony to the sill of 20,000 craftsmen brought together from Persia, Turkey, France and Italy and who took 17 years to complete this ‘Love Poem in Marble’. Return to the hotel for breakfast. Rest of the morning is free for independent activities. Afternoon tour Agra Fort, the red sandstone fort in Agra, built by Emperor Akbarand Itmad –ud – daulah, one of the most beautiful of Mughal tombs, stands across the river Yamuna from the Taj Mahal, nearly one and a half kilometers up-stream. Check out from the hotel after the breakfast and drive to Delhi en-route visit Mathura. Mathura an ancient city dating back to 1500 B.C. and is sanctified as the birthplace of Lord Krishna. Visit the Dwarkadheesh Temple, the VishramGhat. Also visit the Museum that has a collection of sculptures, terracotta, coins, bronze objects dating back from the 5th Century B.C. The 5th century A.D. statue of the standing Buddha can also be seen in the Museum. Continue drive to Delhi, on arrival, transfer to a local restaurant for dinner. Later transfer to Delhi International Airport to board flight for onward destination.